Hey, hey, hey! Back again for this week’s Simon Says Stamp Wednesday Challenge as guest designer. Yippee! I had so much fun creating this card! This week, it is a Crafter’s Workshop challenge. Bring on the stencils! I love the magic embossing paste brings to a card. The texture and dramatic effect paired with this amazing Crafter’s Workshop Mini Rug stencil makes me so very happy. What a stunner, Erin Lee! LOVE this rug pattern and the color combo you chose! That background is just flippin' amazeballs. Seriously. Awesome card! 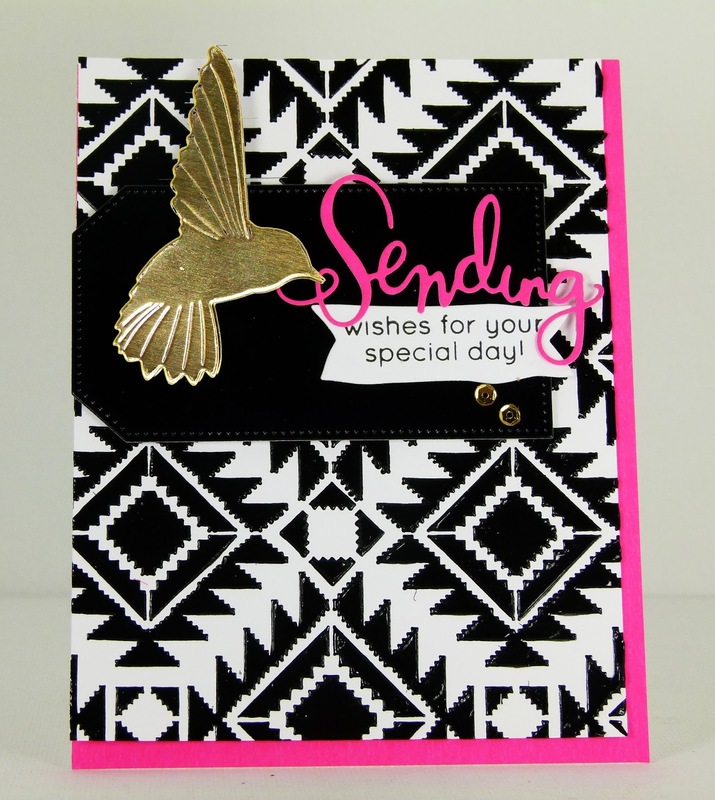 A stunning card Erin, a fabulous colour scheme and I love the rug pattern with gorgeous elements!! Wow – so striking! Love the black embossing paste – never tried the black but it looks amazing! Hope you're being good and putting those feet up! Gorgeous card, Erin! I love the POP of gold! hello Erin, this is gorgeous, the background is amazing…fabulous girl…hope you have a super weekend! Amazing card Erin! Such a fabulous design!! That stencil is on my wish list! It looks AMAZING here!!! !